The goal was to create an amusing motivational user experience while learning German vocabulary on tablet. Our client created and provided us with the graphical content and our task was to design user experience as well as the user interface. And the most important thing - bring the application to life. The application is released with the support for iPad tablets, it was created in a multiplatform technology to allow the possible easy transition to Android tablets as well. The solution consists of a carefully designed multiplatform tablet mobile application for iPad created in Unity Engine with the support for in-app purchases. The also kids-friendly graphical content from our client was enhanced with cute animations. We made sure that these animations will run smoothly on any kind of iPad. As the nature of the application dictates, the content of the application is available in two languages - English and German. In order to keep the application challenging and funny, a gamification is integrated into the user interface. During learning, students can test their knowledge in a simple discovery game with a score. The application is available for free and our client is monetizing it via in-app purchases for additional lectures. Our client created and provided us with the graphical content for this application. The biggest challenge here was to make sure that the multi-platform technology, Unity Engine, works well within the iOS ecosystem. Because the final steps of a multi-platform solution are much more than just a press of the export button. We had to make sure that all the graphics will be crystal clear and beautiful on all kinds of Apple’s retina displays with different pixel densities. We spent important amount of time with optimizing dimensions of elements of user interface to match all supported iPad’s screen dimensions and to be accessible for the users as was intended. Those tasks are especially important every time the multi-platform mobile app development technology like Unity is used. The result of development is a multi-platform mobile application exported for iOS and iPad, with the forward compatibility to Android platform. The app features custom animations and in-app purchases. Since its release, it accumulates positive feedback from young students and their parents. And what about you? 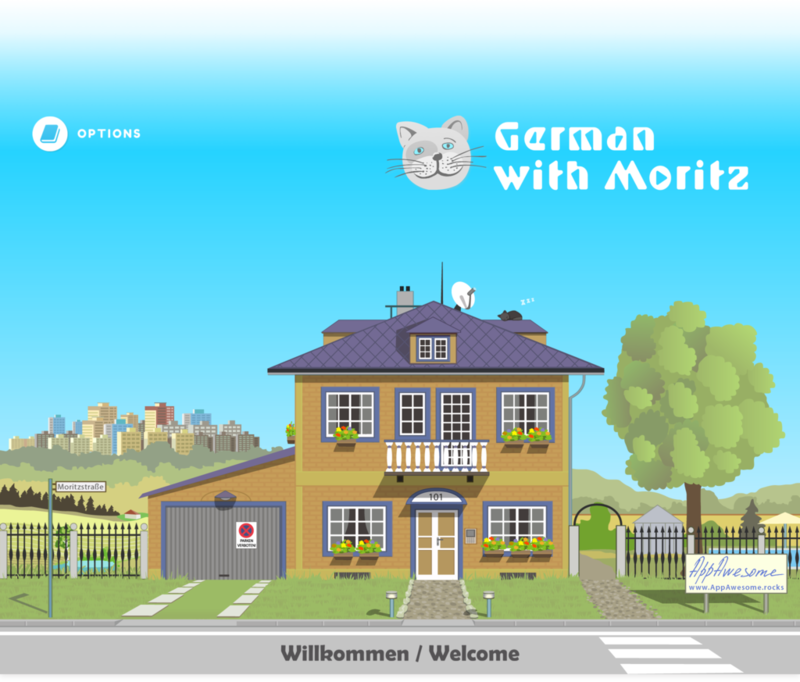 Do you want to try how is it to learn German with Moritz (the cat)?